Today was the first time I’ve done a swim suggested and led by someone else and that was so nice. I got a message form Katy a couple of days ago asking if she could take me to one of her favourite swimming spots – how could I refuse? 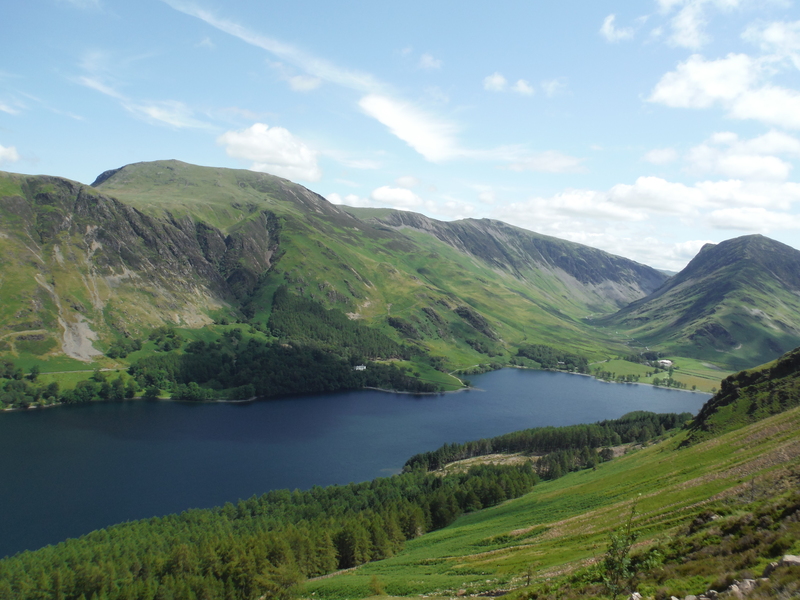 I picked Katy up and we headed to Buttermere to try to park, which turned out to be much more of a challenge than we had foreseen! It was very busy but we did eventually manage to find a spot in the National Trust car park just outside the village. 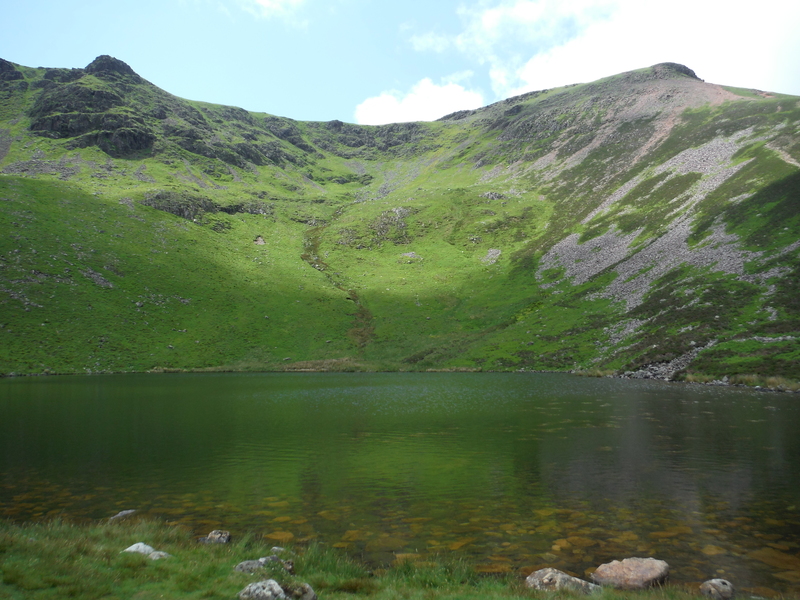 We walked towards Buttermere lake but turned off at it’s head up the path by Sourmilk Gill. 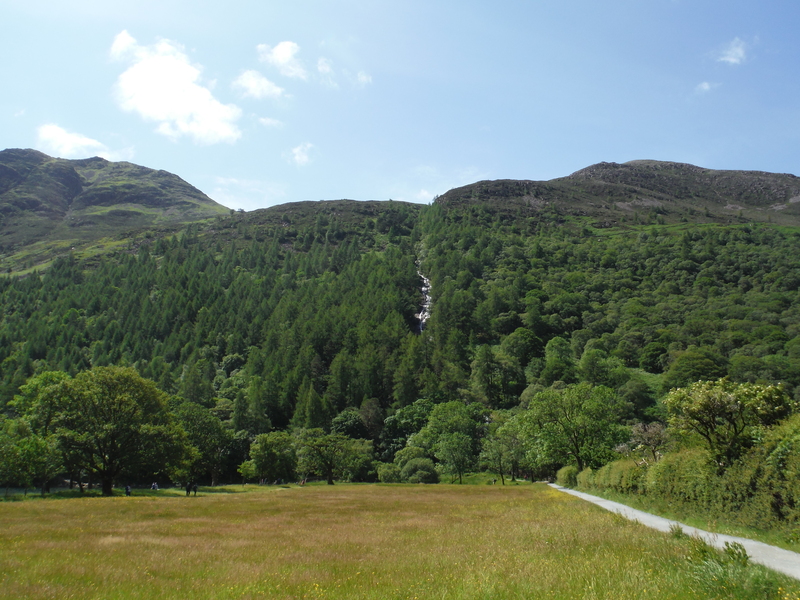 The path wends it’s way through some beautiful woods full of bracken and foxgloves for a while before coming out above the treeline and showing stunning views over Buttermere. 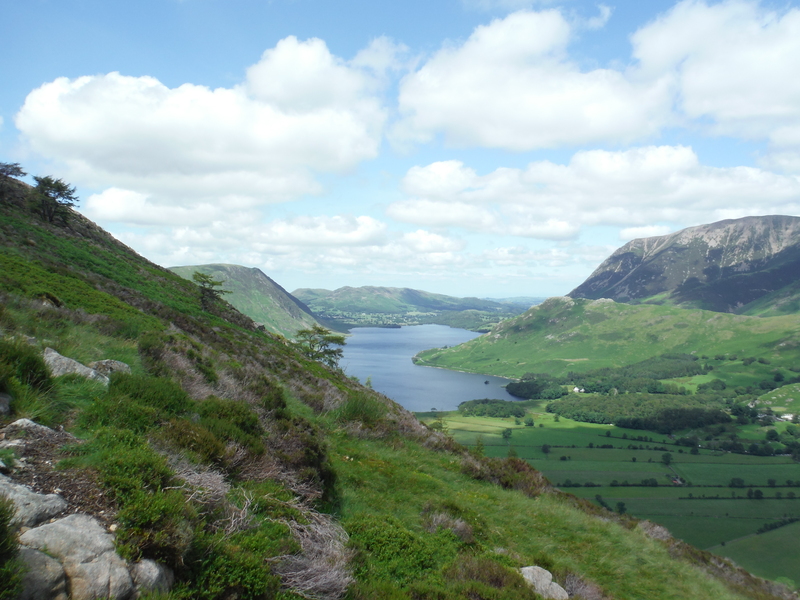 As you get higher you can also see Crummock Water and even, eventually, right the way to the sea. It was a beautifully clear day and the views were just breath-taking. We had to stop every couple of minutes to look at the view (which was a good thing, that path is pretty steep!). Near the top the path joined the gill again and we headed into a big corrie with Red Pike and High Stile dropping dramatically down to the tarn. 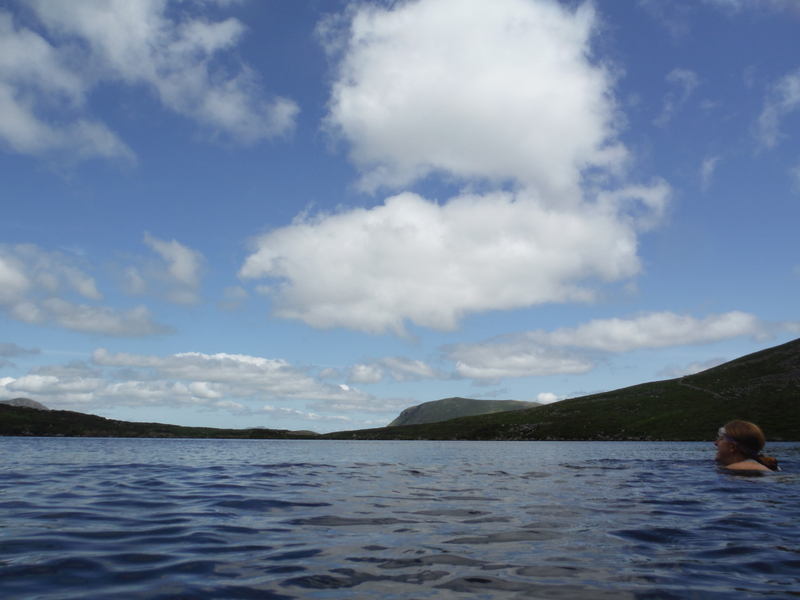 Just as we got there a huge cloud came and covered the sun and a cold wind sprung up – not conducive to swimming! But we braved it anyway, waiting for a moment when there was a gap in the clouds and making the most of the brief moment of sunshine. Getting into the water was quite difficult, very rocky and I hadn’t brought my shoes (a decision I always regret – will I never learn?). Katy was braver than me and just dived in pretty quickly, but I always have to take time to get myself accustomed to the cold. The one good thing about trying to make my way over the stones was that it took my mind off how cold it was and I was thigh-deep before I suddenly remembered. It also gave Katy the opportunity to take some embarrassing photos of me almost falling over. 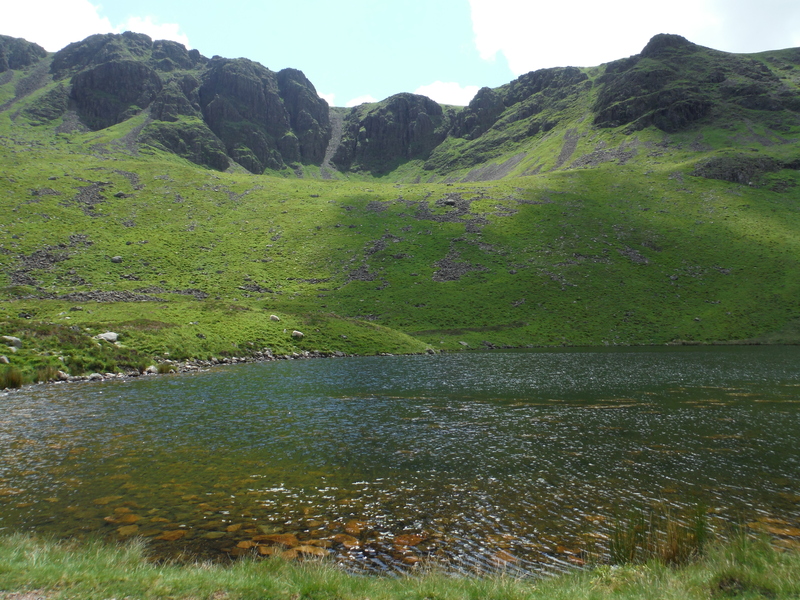 Eventually I just went for it and we swam right across the tarn and back again. By the time we’d got to the far side I was getting very used to the cold and really starting to enjoy it. Back near where we’d started I braved putting my head in the water and realised just how clear it was – fantastic. 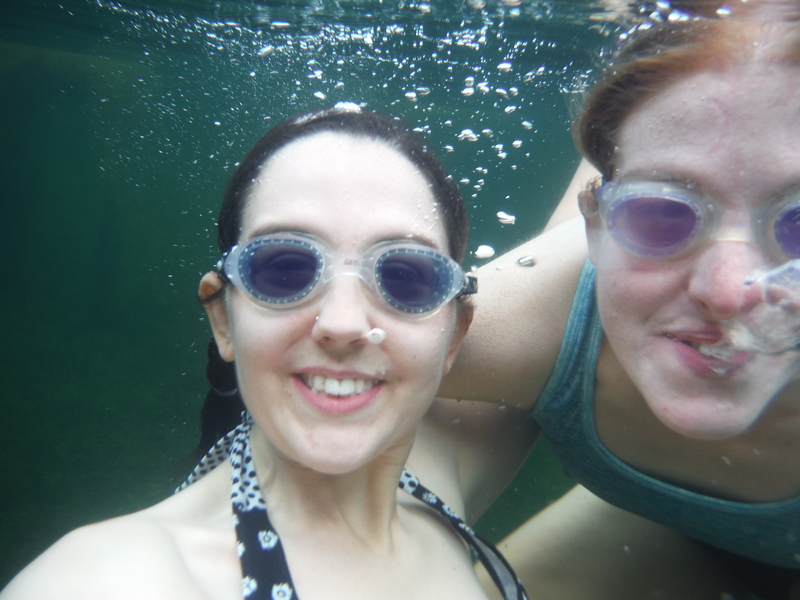 Getting the underwater selfie with both of us in proved difficult as it turns out that Katy can’t sink! Probably a good quality in a swimmer. I felt quite warm by the time we were back at the shore, but that didn’t last once I’d got out. The wind was making it’s presence felt and we hurriedly piled on some warm layers. I was shaking like crazy but didn’t feel too bad, whereas Katy said she doesn’t really shiver but definitely suffered from the cold for a lot longer than I did. Coincidence or are these facts related? I don’t know, interesting thought though. 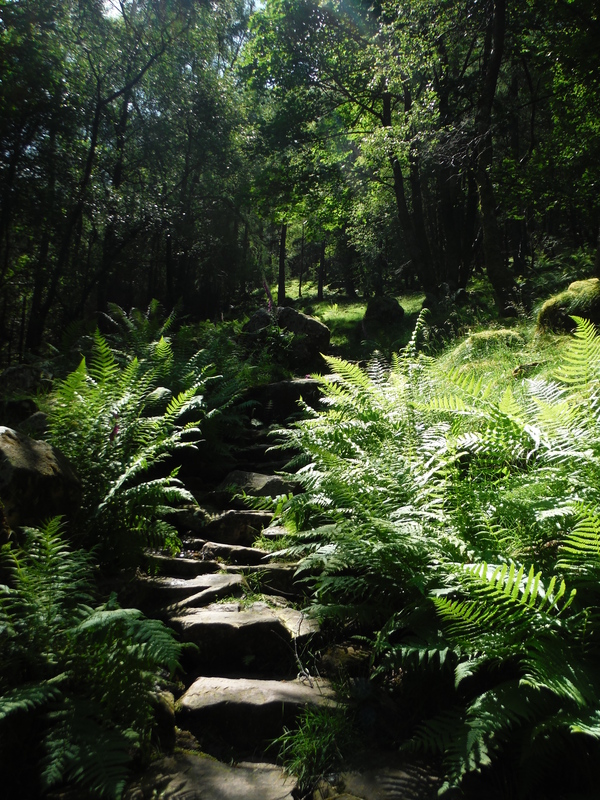 We hurried back down the path with only one thought in our minds: tea. When we got to the café a the bottom we got a very welcome pot of tea for two (topped up with extra hot water to make it last) and watched the birds who were well used to stealing crumbs from the café customers. 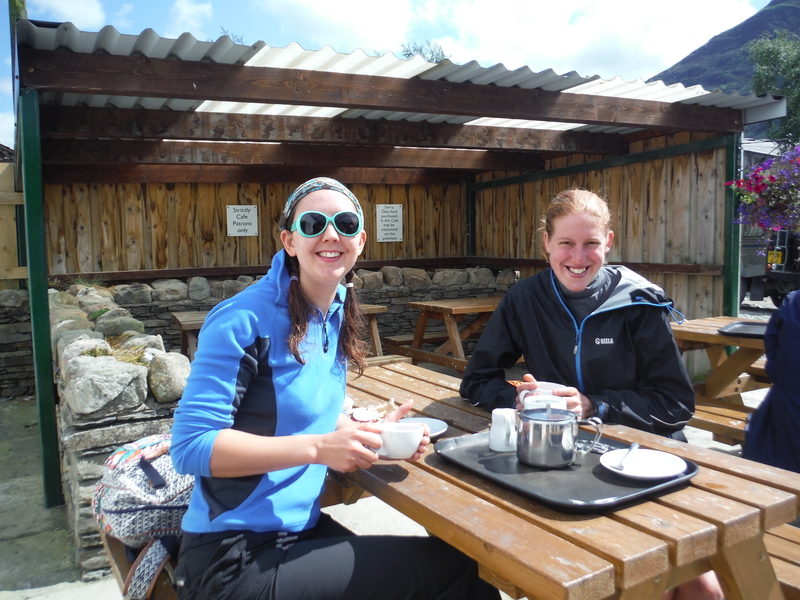 Then we had another pot of tea on the grounds that you can never have too much tea. 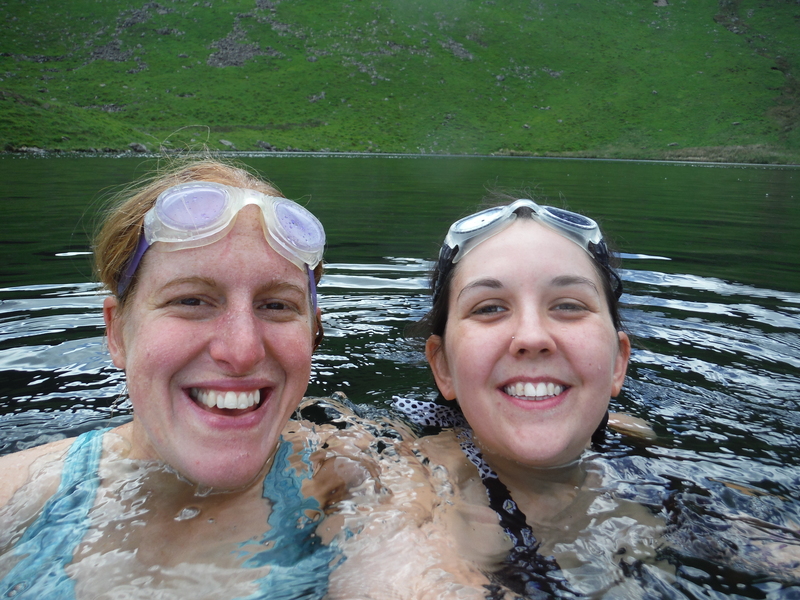 Thank you so much Katy for a great day out and for showing me such a fantastic place to swim.